Experience the utmost island escapade beyond the serene skies and pristine ocean breeze underneath the summer ambiance that remained stationary throughout the year. This little summer resort is the ultimate escape for families and corporate groups where premium amenities and pampering services are guaranteed beyond your expectation. Total relaxation and true comfort is a norm throughout your entire island getaway. 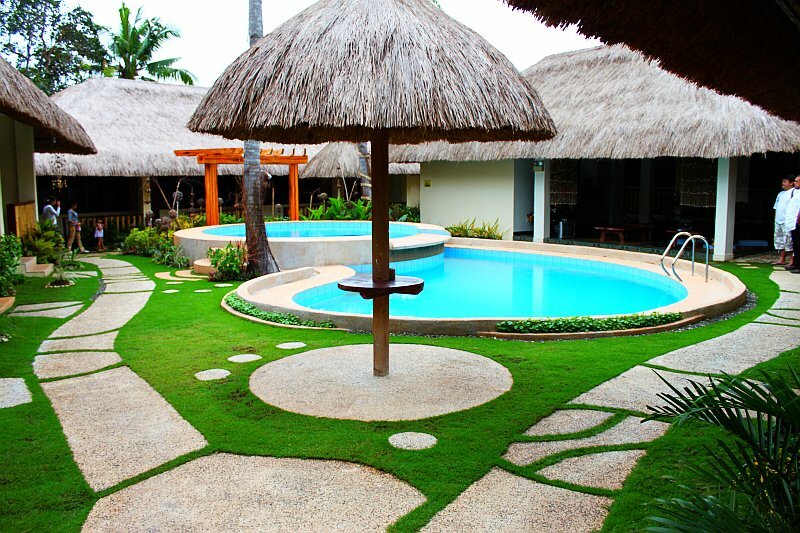 Chiisai Natsu resort Panglao Island Bohol is under new management and likely to be the second place to be called a home, ensuring our guests of an extraordinary and worthwhile stay. Room architecture is simply Filipino, made from native materials such as bamboo, cogon and wood profoundly furnished with both contemporary and endemic conveniences. Each room is fully air-conditioned with hot and cold shower and a private terrace facing the pool. A choice of your own on where you can take your meals either at your private terrace or in our Japanese inspired resto. Chiisai Natsu offers free transportation service to and from the airport/pier to specific accommodation type. Each accommodation includes a free round trip shuttle service to Alona Beach, about 2 kilometers away from the resort or just a 2-minute drive, where you can enjoy different fun-filled beach activities, sea exploration and other countless recreation beyond the royal blue sea grandly touching the adequately enhanced one and a half kilometers-stretched powdery white sand. Scuba Diving, Jet Skiing, Kayaking and Snorkeling are just some of the activities that you can enjoy at Alona Beach. Blood Compact – it is the City’s most substantial event of history where the first treaty of friendship between two natives of different races, Sikatuna and Miguel Lopez de Legaspi, sealed off and strengthened their newborn friendship in a form of blood compact. Baclayon Church – the second oldest church in the Philippines made from coral stone built in the 18th century during the Spanish era where the first missionaries settled in and established Christianity. Loboc River – a long and winding river where you can dine with their numerous selection of tasty native dishes as you cruise along the river on a floating restaurant made from bamboo rafts fully maneuvered by a motorboat that can accommodate up to 20-25 people. Man Made Forest – a 2-kilometer stretched of serried planted Mahogany trees grown orderly and evenly for years along the borders of Loboc and Bilar. Hanging Bridge – a woven bamboo bridge hanged approximately 20 meters across the Loboc river. Tarsier – take some memorabilia with one of the world’s smallest primates. 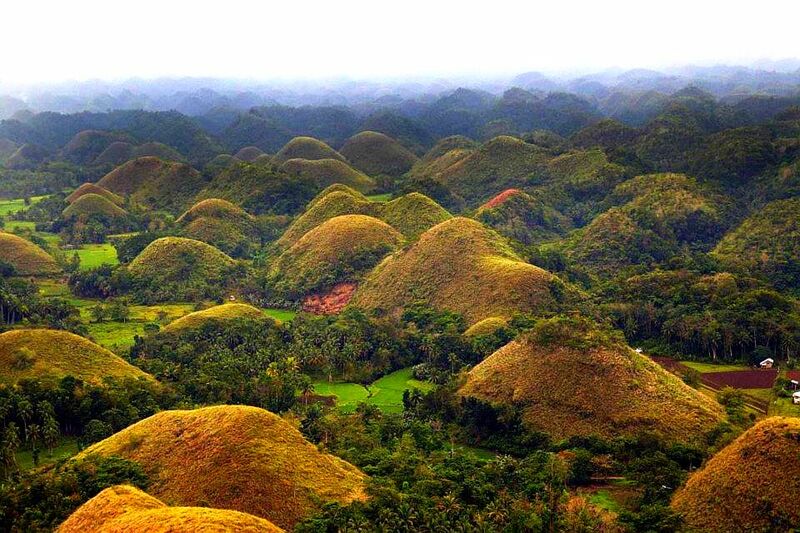 Chocolate Hills – the extraordinary renowned haycock hills made from limestone covered with green grass that turns brown like chocolate during dry season whose shapes are conical and almost symmetrical spreading over a 50 kilometers land area consisting of about 1,776 individual mounds. Snorkeling in Balicasag Island – a 35-minute boat ride from Alona Beach that has 400 meter Marine Sanctuary of healthy corals surrounded by a sandy shell coralline beach and fringed by a narrow reef shelf ideal for snorkeling and diving. 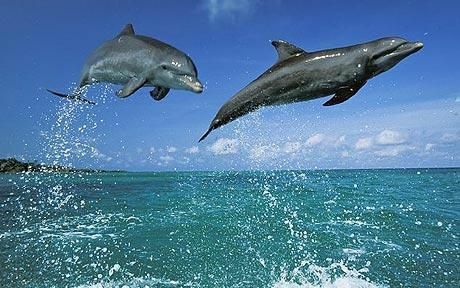 Dolphin Watching – a 20-minute outrigger banca ride from the shore of Alona Beach to the dolphins feeding ground wherein 11 types of whales and dolphins inhabit the waters and appear frequently, jumping playfully out the water in threes or more and is best done early after dawn. Virgin Island – a crescent-shaped islet that is submerged under 6 inches of water during low tide with no infrastructure anywhere preserving its peaceful charm. Chiisai Natsu is located in the southern part of Panglao Island, Bohol Philippines. Approximately 16 kilometers away from Tagbilaran City, a 25-minute drive from the city airport and pier. After looking at a few of the blog articles about Bohol on your web page, I truly appreciate your technique of writing.